My husband and I have hosted a lot of holiday parties lately. I’ve been known to spend hours preparing a particular dessert or entree, but I’m funny when it comes to appetizers. I’m not a big fan of spending longer on an appetizer than it takes to consume. These take a bit of prep which flies in the face of that theory, but it was worth it because everyone loved them and they literally disappeared off the serving tray. These endive leaves are like a fancy loaded potato and are sure to impress your guests. 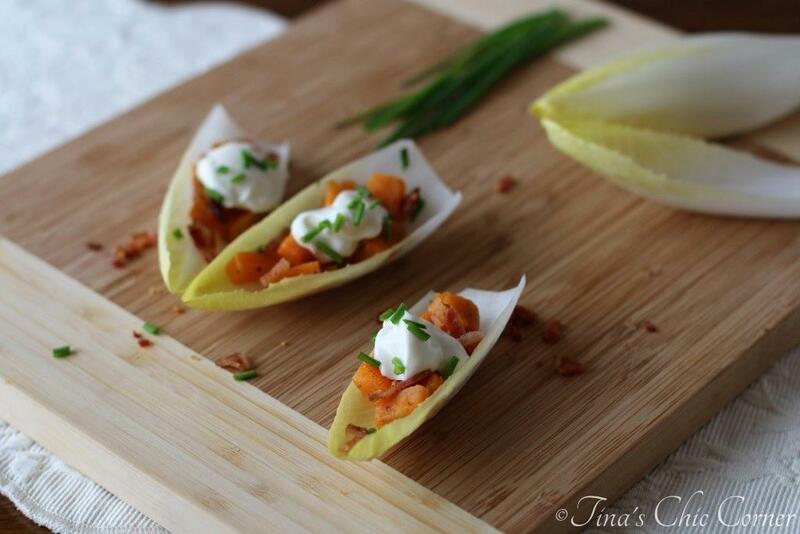 Each endive leaf is filled with chopped sweet potato and topped with bacon bits, a dollop of sour cream, and chopped chives. 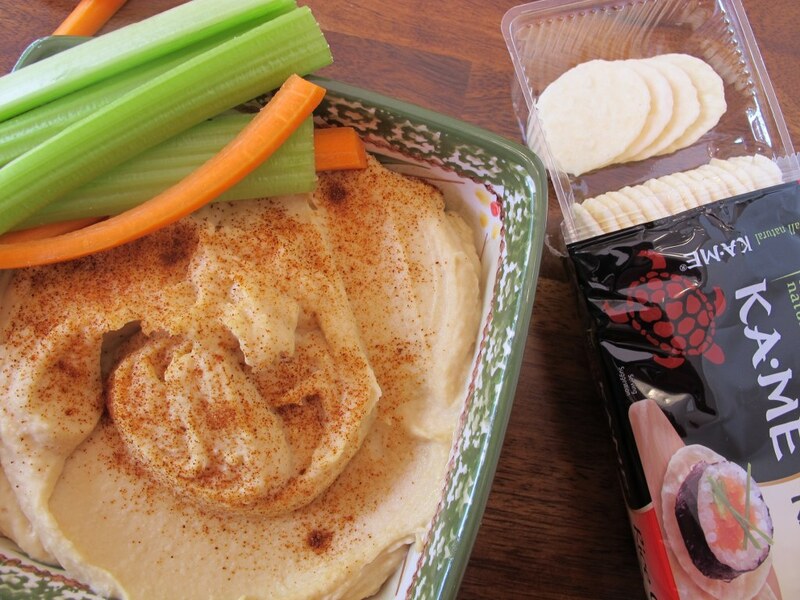 It’s a simple set of tasty ingredients all together for a tasty appetizer. Peel the sweet potato and chop it into large chunks. Fill a medium saucepan with water and add the roughly chopped sweet potato. Bring it to a boil and cook it until the chunks are fork tender. Remove the sweet potato chunks. Once they’ve cooled, chop them into finer pieces (small enough so that a bunch of them can fit into each endive leaf, but not so small that they look like they were mashed). Set them aside. In a medium pan, cook the bacon. Once the bacon is cooked, transfer them to a paper towel. Once they’ve cooled, finely chop them. Set them aside. Add the finely chopped sweet potato to the pan of bacon fat. Season it with pepper and salt. Cook it for a few minutes. Cut about an inch off of the bottom of the head of endive. Peel a leaf off of the head and place a few pieces of the finely chopped sweet potato onto it. Next, sprinkle some finely chopped bacon on top. Dollop with a small amount of sour cream. Top with a sprinkling of chopped fresh chives. Repeat the process (step 8 on) for each endive leaf. I didn’t take any pictures of the cooking process because I think the steps are pretty self explanatory. Also, I was rushing to get it done before the in-laws got to us. Taking pictures really adds so much extra time! Okay, back to these pretty things… If you’ve never eaten an endive before, it’s a bitter tasting green. I will admit that it’s an acquired taste, meaning you either love them or hate them. I love them and my husband doesn’t. To each their own! To add more crunch, I sprinkled some bacon bits on top. Mmm, bacon. Bacon makes everything taste better. If you want to make this a vegetarian appetizer, feel free to omit it. However, you may want to substitute it with one of your favorite vegetarian friendly ingredients in order to make sure that it isn’t bland. I haven’t tried it yet so let me know if you go this route. No “loaded” anything can be called complete without sour cream and chives. When your guests see these gorgeous appetizers they will instantly be wowed. They are so tasty, they’ll keep coming back for more, so they won’t last long! 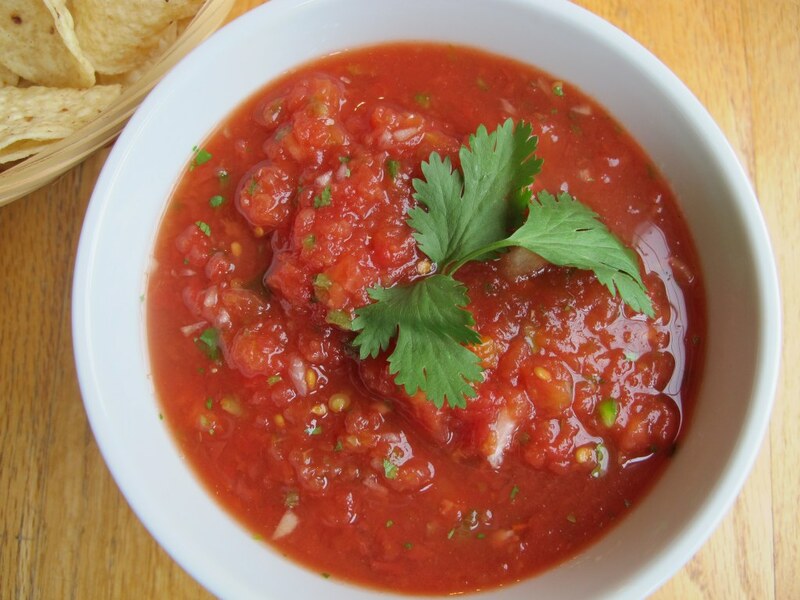 Here are some of my other favorite appetizers that I’ve served over the holidays. You had me at sweet potato! These are so cute, and I would be all over them! Appetizers do take a while to make sometimes. These are pretty, and sweet potato and bacon are two things I can never resist! Looks amazing! The combination on sweet potato and bacon must be perfect. I love how simple it is. I’m not always a fan of endive because it can be so bitter, but with the salty bacon, sweet potatoes, and creamy topping, this sounds like the perfect flavor and texture combo. Plus it’s easy to eat and pretty healthy. These look perfect Tina! Plus, healthy so you don’t feel guilty after eating them. Totally agree on not spending a ton of time on appetizers. Hope you have a great NYE! I love how these look! So cute yet elegant at the same time! And they sound pretty delicious too – sweet potato anything is always a win in my book : ) Happy New Year! Thanks so much Ashley. 🙂 Happy new year! So classy Tina! I could pop every one of these tasty bites right into my mouth. I really need more healthy food in my life!!! I love this!! What a great idea Tina! I’m not a huge endive fan but with a filling like this one I could convert. 🙂 Hope you had a nice Christmas! I wish I could take credit for the idea, but if I’ve converted you then that would be awesome. 😉 Christmas was lovely with the family. It went by so quick. I hope you had a wonderful one too! Hey, more for us girls then! I wonder if your little guy would like endives…although I’ve always looked at it as like an adult head of lettuce. Hehe. Have a happy new year my friend! These do look fancy!! And I LUV sweet potatoes! I hope you have a wonderful New Year!! Thanks so much! You too have a happy 2014! These are some super pretty apps, Tina! I’m glad you haven’t retired sweet potato! Oh I love sweet potatoes so I’m always looking for different ways to cook them up. 🙂 Have a happy new year Mary Frances! I love this, too, Tina! 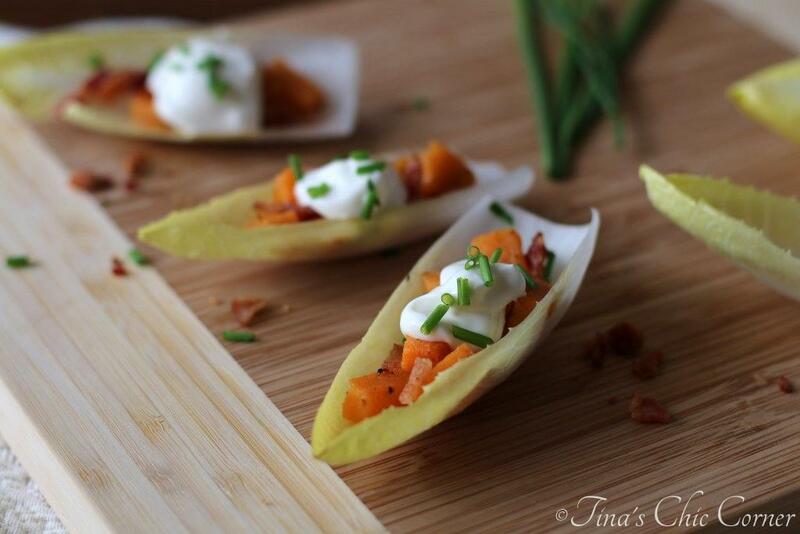 I’ve been using those mini phyllo cups for party appetizers but this is a great idea. I love endive and they really are perfect little holders. Sweet potatoes and bacon sounds wonderful, too. Thanks for sharing…I will surely be borrowing this idea in the future. ; ) Happy New Year to you and yours – hope it’s a great one! Cool! 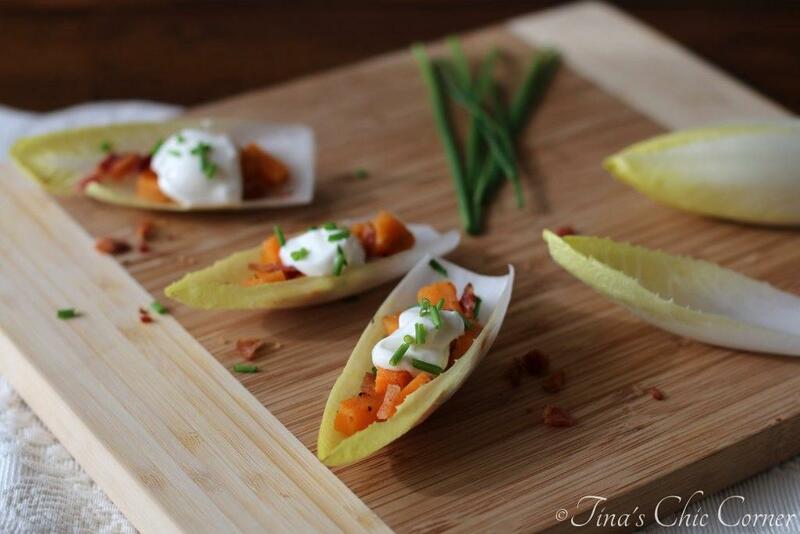 I love those mini phyllo cups…they are so versatile and delicious. One could even use that instead of endives if they weren’t a fan of the endive or simply wanted to switch it up. You too have a happy and healthy new year! How gorgeous are these?! Great work on this recipe! I need more sweet potatoes in my life. 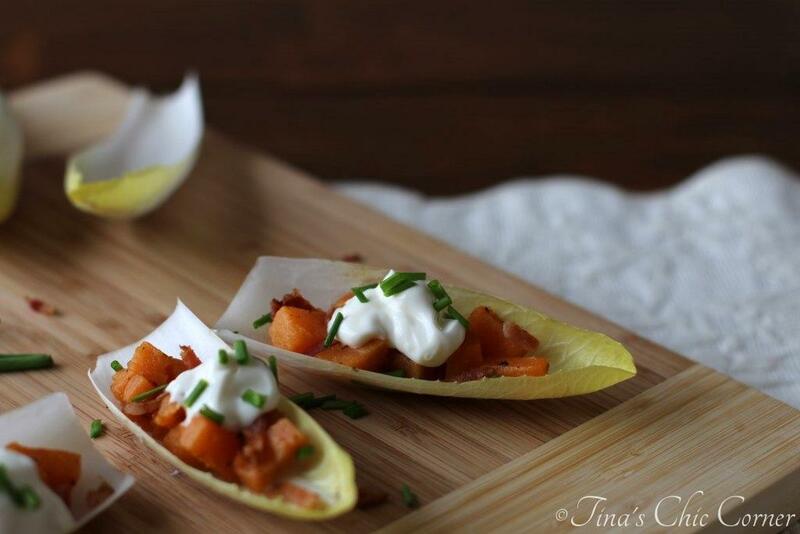 I’m usually not super into endives…but smothered in sweet potatoes, I could be converted. 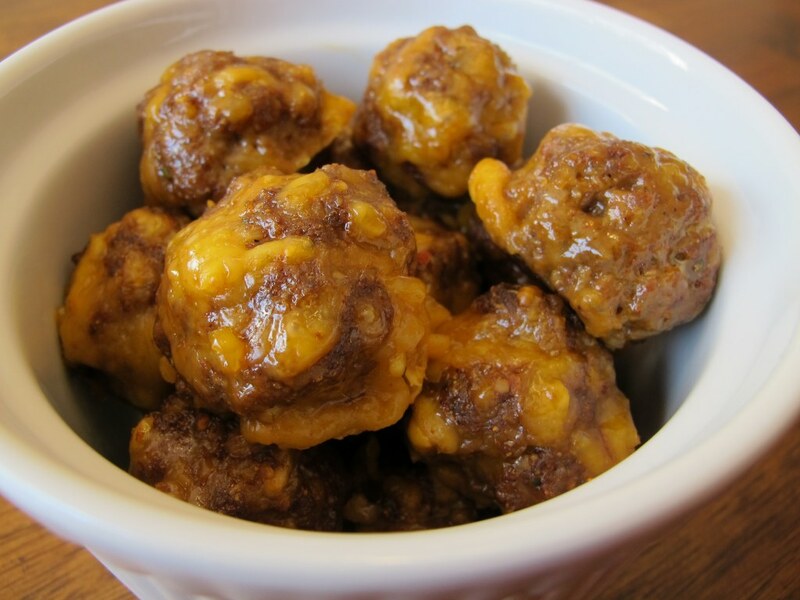 Mmm, this looks like a perfect party appetizer! Pinning. Have a blessed new year, Tina! These little bites are so cute and tiny! Love sweet potatoes! Have a Happy New Year Tina! What a gorgeous nibble! And healthy, too…double bonus! Happy New Year!!! What a great app! Especially topped with sour cream and chives, yum. Happy New Year! Hehe, I love that we are alike. 🙂 Happy new year, my friend! I love this appetizer, Tina! They look like little boats! So cute. Pinned. Enjoy the rest of your week. happy new year! Thanks kindly, Anne! You have been a wonderful supporter and friend and I truly appreciate it. 🙂 Happy new year!